Contact Quality Storage Container today for more information about our selection of cargo containers. As technology evolves and global supply chains flourish, your need for a reliable, cost-effective means of transporting goods grows just the same. Handle your storage and shipping needs effectively with quality cargo storage containers. At Quality Cargo Storage Container, we offer several different types of storage containers to suit the logistical needs of clients throughout the Western United States. With top-of-the-line workhorse containers and budget-friendly cargo containers readily available, we’re prepared to give you the resources you need to keep your operation moving smoothly. If needed we have new semi-trailers for sale and used semi-trailers for sale. See Our AAA & A+ Rating & Recent Reviews! Our vast inventory includes five different grades of our standard storage, cargo shipping, and high cube cargo worthy containers. These specialized containers are available in three lengths, 20’, 40’, and 45’ respectively. All of our cargo containers are 8’ wide. With the right size and type of container, you shouldn’t have any problems safely loading, transporting, and unloading your cargo. We have various grades of quality cargo containers fit for different logistical applications. Our one-trip containers are built in China and have traveled only once to California, so you can be sure they’ll be ready to travel. 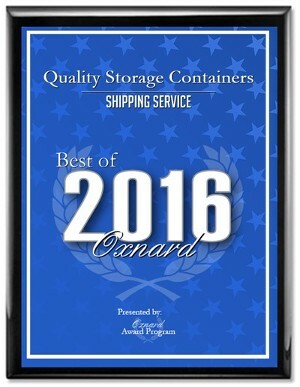 Our most popular cargo-worthy containers are substantially older but still meet all of the necessary shipping specifications. While they may not look as attractive, their doors, floors, seals, and substructures still perform excellently. If you're not sure what kind of cargo containers best fit your needs, call our experienced and friendly sales staff and let them guide you through the selection process. At your request, we’ll provide any number of personalized modifications including doors, windows, vents and more. Regardless of your business, you can rest assured that you’ll receive cargo containers that suit your unique needs. Whatever your large-scale shipping need, you can count on our logistics specialists to help you meet your equipment shipping requirements as they continue to evolve. Be sure to ask our team about our specials and various shipping options. Please note that our choices are only available while supplies last. Contact our logistics specialists for more information regarding our specialized cargo containers. We proudly serve clients throughout the Western United States.